(SPOT.ph) While eating alone is a relaxing experience, even the most introverted introvert can't deny how fun a meal with the whole barkada can be. It's a great chance to catch up, exchange juicy kwento, and be brought up to speed on everyone's love lives (or lack thereof). Plus, there's food involved! With all the ingredients for a perfect time on hand, what could possibly go wrong? Damnation on those who still skipped the big dinner after all the trouble the barkada went through scheduling it. Unless you specifically planned to go somewhere, the responsibility of choosing where you’re going to eat is simply too heavy to be borne by just one person. Everyone deserves the dignity of having their own chair. Too bad the only free tables in the restaurant can only seat a couple of people at a time. How your group decides will determine how many more problems will come your way. Having chosen to order as a group, you will then enter into intense negotiations over what dishes everyone will agree to eat (and pay for!). There will always be that one friend who’ll start hoarding one of the dishes and eating more than his fair share. Beware: not every dish you order will be able to serve everyone in your barkada. The possibility of everybody asking for separate checks is something every waiter dreads. Don’t be so inconsiderate and do the math yourselves (that's what phone calculators are for!). Barkada dinners can be so much trouble, honestly. But the chance to enjoy good food with such excellent company will always be too good to pass up! Which is probably why your barkada's always making plans for yet another gathering despite the intense planning and coordination required to make sure you're all in one room. 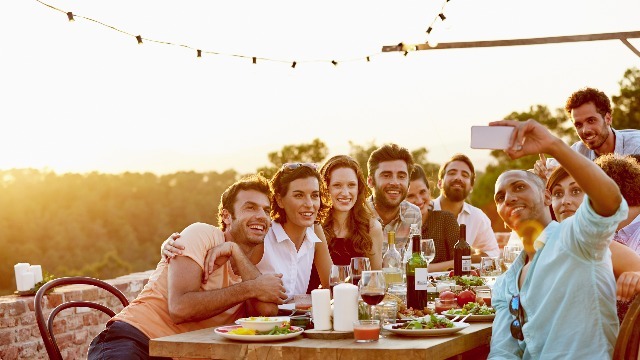 Make your upcoming group dinners stress-free by heading to Italianni’s! 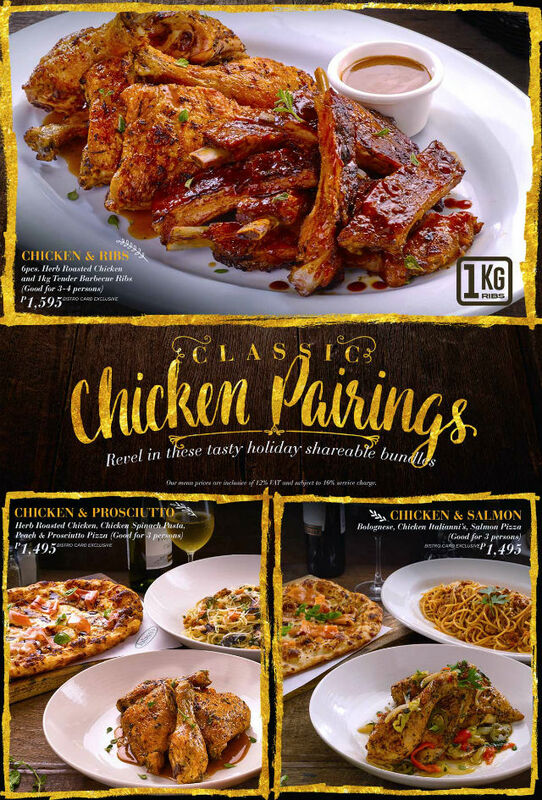 Their delicious Classic Chicken Pairings will surely make everyone in your barkada happy. Choose from their selection of tasty shareable plates: Chicken & Ribs (P2,050), Chicken & Prosciutto (P1,950), and Chicken & Salmon (P1,950). Present your Bistro Card to get major discounts! Never fight with your barkada over food ever again and share the holiday cheer with Italianni’s! This article was created by Summit Storylabs in partnership with Italianni's.